The upcoming Presidential election is weighing heavy upon me. Like many Americans, I can’t wait till it’s over. Because I’m a temporary worker for the Putnam County Election Commission, I’m reluctant to express political opinions in this column. That’s hard, because I have strong opinions—backed up by many hours of study and contemplation—that I’d love to share. But here’s one thing I’m not reluctant to say. Any candidate who claims that the entire election is rigged or that fraud is rampant everywhere has never experienced how we do it in Putnam County, Tennessee. In terms of dead people voting, that doesn’t happen here either. The state provides daily reports to the Election Commission that include a list of Putnam County voters who have died. We also check newspaper obituaries and death notices from funeral homes. All deceased voters are deleted from the database. Our voting machines are Direct Recording Electronic (DRE) devices that keep three separate records of the vote: a tape printout, an electronic audit image of every vote cast and a triple redundant electronic memory inside the machine itself. Votes are not lost or recorded in error. And these machines are not connected to the Internet. 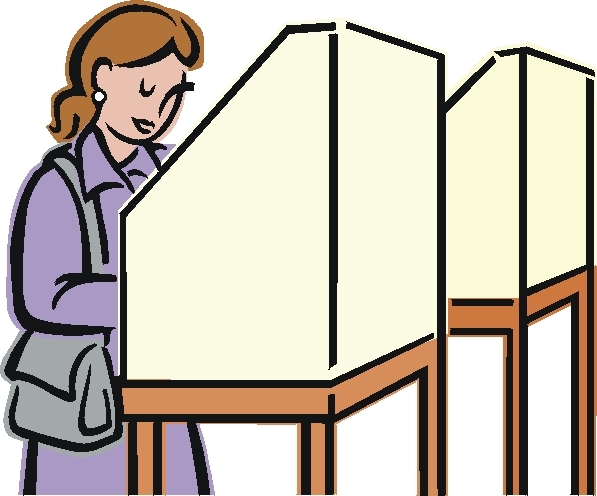 Do you have questions about candidates or issues on the ballot? So that we can’t be perceived as exerting political influence, poll workers aren’t allowed to answer them. “The ballot speaks for itself” is all we can say, but we can direct you to the sample ballot on display and allow you to study it for as long as you like. As for politicking at the polls, it’s not allowed inside the 100-foot boundary lines. You can talk about the weather, you can talk about the ballgame, you can pass around pictures of your grandkids or your dog. But you can’t talk about the election in any shape, form or fashion once you’re inside the boundary. And if you wear a ball cap that says MAKE AMERICA GREAT AGAIN into the building, we’ll insist that you take it off and conceal it until you’ve voted and exited. A t-shirt that says I’M WITH HER? You’ll be asked to cover it up or go to the restroom and turn it inside out. And you’re not allowed to wear clothing or accessories adorned with donkeys or elephants into the polling place, either. That, too, is campaigning in the eyes of the law. Free and fair elections? You can count on it in Putnam County.